I have shared before that I tend to be a very driven person and am passionate about many things. It drives me crazy to meet people who have amazing gifts and talents who don't put them to use simply out of fear. 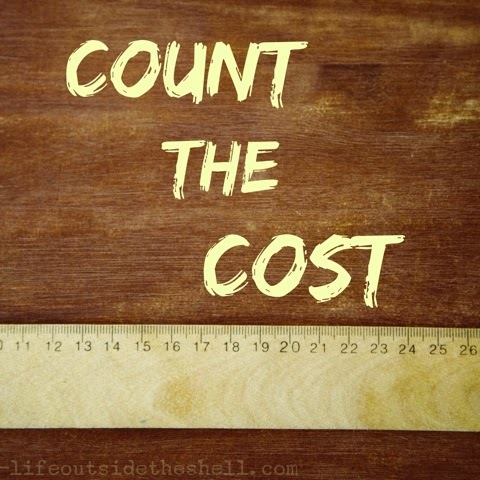 While I often blog about living life outside of your shell and just going for it, I feel lead today to remind you to count the cost. I can't take credit for this term because it was my good friend Kristen from The Beautiful Deep who reminded me of this just a few days ago. I had called her to talk about switching from Blogger to Word Press(since that tends to be what everyone is recommending these days). While she gave me some great advice on switching, before we got off the phone she said "just remember to count the cost". This has been going through my head for a few days now because it is challenging me. How many times has my own family suffered because I said "yes" to too many things? Opportunities I just knew I had to pursue but really when I look back it was my family and other relationships that were sacrificed. So today, instead of giving you a charge to take off and go do. I am giving you a charge to be. Before you start that blog, new business, new job, new ministry, new fitness program ask yourself "What is the cost?" Will it cost time with your family that you will never get back? There is nothing wrong with pursuing dreams but we must have boundaries so the things that are most precious to us are not sacrificed in the process. I, personally, will be determining my "yes and no's" with our future in mind. Twenty years from now when my kids are grown and married will I regret not spending more time with them? Will I regret putting too much focus on having a clean home rather than just getting down and playing with them in the mess? God will not call us to something that makes us sacrifice our family, health and relationship with Him. Just because it's a good thing does not mean it is a God thing. I pray these words that my friend spoke to me will linger with you as well as you seek God's direction for your life! Thank you for this reminder! 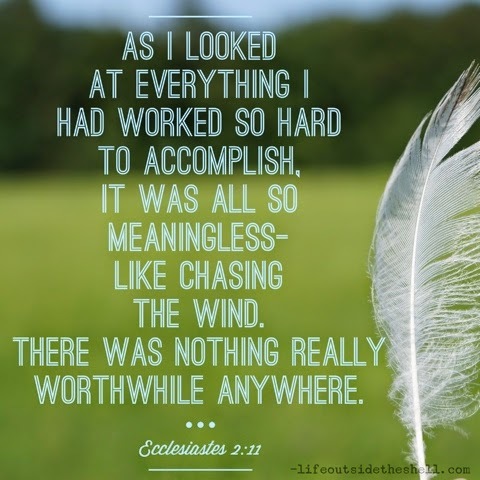 I love that verse in Ecclesiastes!